Thermal imaging is simply defined as the use of an infrared sensor to detect radiation emitted from an object in the SWIR, MWIR or LWIR region of the infrared spectrum. Any object higher in temperature than absolute zero will emit radiation. The amount of detectable radiation depends on the temperature and emissivity of the object, as well as the type of sensor used for imaging. 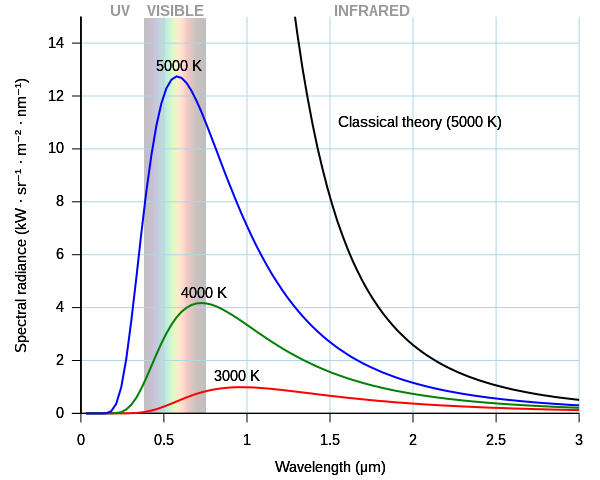 In general, higher temperatures amount to more radiation and shorter peak wavelength emission. SWIR cameras are useful tools for high temperature thermal imaging applications, where object temperatures are above 150°C. Some examples of these applications include industrial furnace monitoring, hot end glass bottle inspection, and detection of slag impurities in molten metal. For most hot metal objects, having large emissivity values in SWIR range, slight variations in the emissivity lead only to minor changes of the resulting surface temperatures. SWIR cameras can be integrated into measurement systems for continuous monitoring of high temperature industrial furnaces. High temperature furnaces are used in a variety of industrial markets including petrochemical and pulp/paper processing. In order to keep furnace efficiency at a maximum and insure against catastrophic failures, it is important to monitor material build up and furnace temperature, as well as other application specific operating parameters. SWIR cameras have proven to be effective at detecting and monitoring slag impurities in molten metal because of the emissivity differences between the slag and metal at that temperature. This helps prevent unwanted impurities from contaminating the metal. Missing this process end point can affect steel quality and translates directly into higher cost of production for manufacturing facilities. Picking out defective glass products the hot end of the process, while the temperature is still above 200°C, is particularly interesting for glass manufacturers. At that stage, rejects are identified, then shunted aside and reprocessed efficiently, greatly reducing scrap. Unlike thermal cameras, short SWIR cameras can image through glass, allowing operators to inspect both the interior and exterior walls of the bottle, as well as monitor the temperature uniformity and cooling rate of the material.